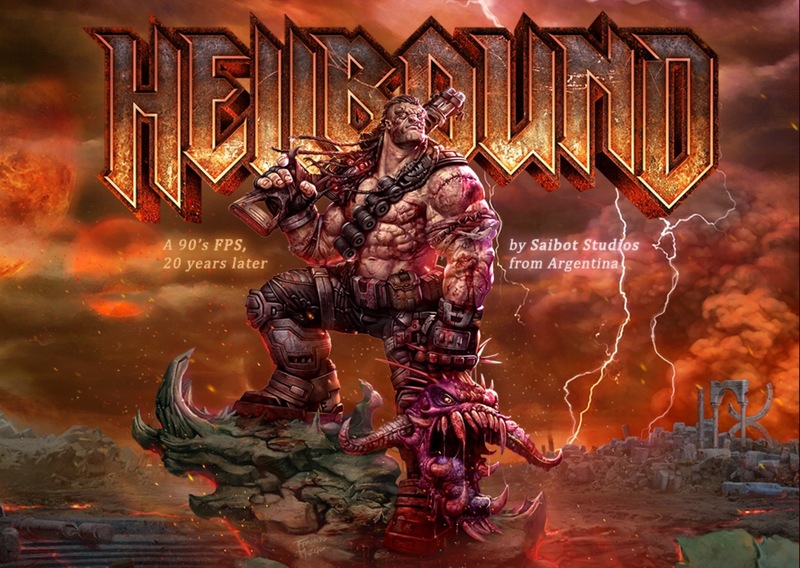 A closed beta for the newly announced FPS, Hellbound, is coming soon to PC, according to developer Saibot Studios. Registration for the closed beta is now open and is set to debut with a single player survival mode. With the recent resurgence of series like Doom and Wolfenstein, it will be interesting to see a smaller developer take a shot at the balls-to-the-wall action of a 90’s FPS. Players will have to wait until the closed beta drops to see gameplay details. The studio gave no exact release date or time frame for the beta. Saibot Studios does hope to add a single player story campaign and multiplayer down the line but, for now, they want to focus on the gameplay and survival mode. Saibot Studios is known for the Doorways Saga, a collection of popular horror adventure games available on PC.